The TravCom Travel Media Awards were held last week. NZ Māori Tourism sponsored two prizes: The NZMT Award for the Best Travel Story about a Māori Tourism Experience and the NZMT Award for the Best Travel Image that Captures the Essence of Māori. Congratulations to all the nominees and the winners - Mike White for his story Survivor Island and Peter Drury for his photo below. Callaghan Innovation general manager Māori economy Hemi Rolleston says until now the Māori business sector has been largely conservative but that's changing. "We've tended towards acquiring safe assets. We've invested in term deposits and property. Much of our business is involved in primary production. "The Māori economy is an important part of the wider New Zealand economy and it's growing. It is poised for take-off and not just because of treaty settlements." There's already a significant asset base and a growing maturity. As they go through the business cycle, Māori-owned enterprises will move further up the value chain and head towards taking a more innovative approach. We're already seeing a spotlight on research and development and there's increasing government support. Read more here. Global Women are an organisation committed to greater diversity in New Zealand leadership. Since our inception five years ago, we have provided a leadership programme focusing on the pipeline of future female New Zealand leaders. It focuses on the participants' internal capacity for leadership by building their self-mastery and self-awareness, providing a rich set of practical leadership tools plus content that gives the real stretch needed to enable “breakthrough” thinking. As a result it has already helped enable previous cohort participants to progress to c-suite, boards and other leadership opportunities. Read more and apply here. 1. The 28th Māori Battalion had the highest casualty rate of any in World War II - how many were killed? About 660 of the 3600 who went over there. And that's because they were such an effective battalion, they were often used as the spearhead of an attack. They were also constructed on a tribal basis, which meant that if they got into a sticky situation they would fight longer and harder than they should, they wouldn't withdraw, because their cousin or brother was stuck out there. And as a result casualties mount. I think they were also trying to do more than everybody else so that they would earn the respect of New Zealanders and change could occur in this country. 2. 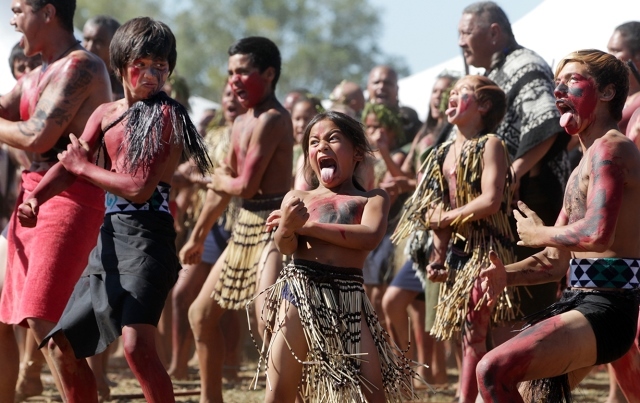 Were Māori treated better in New Zealand after World War II? It was slow. But there were changes, for example, the law in this country didn't allow Māori to buy alcohol and take it away from a hotel. And then when they started to have reunions of World War II servicemen they would serve drinks in a marquee and if they had applied the law, Māori servicemen wouldn't have been allowed to participate, because that's drinking in a public place. So in 1947 the act was changed. Read more here. Blocking cars from driving up Auckland's Mount Eden could cost more than $100,000. In a meeting this week, the new Maunga Authority, which manages the city's volcanic cones, stopped short of giving the proposal the green light. Any decision to move forward will have to depend on a budget agreement, and if achieved, work will begin in the next few months. Read more here. Flight Attendants - Air NZ Hiring Now. Air New Zealand are hiring now for 2015 opportunities and will be running Recruitment Events in April, May, and June. With new aircraft arriving, internal growth and development, and new destinations, there has never been a better time to join. Air NZ are looking for world-class Flight Attendants to showcase New Zealand to the world. As an Air New Zealand Flight Attendant you'll be a part of a dynamic team providing an exceptional experience and service to our 13 million passengers a year. Successful candidates will be placed depending on business needs, into one of our Cabin Crew Groups including: Mt Cook, Air Nelson, Shorthaul or Midhaul. Air NZ Flight Attendants are passionate, proud and dedicated people who love the challenge of working in an industry where every second counts! No day is ever the same and it is a demanding role that will push you to perform at your best. You'll need solid proven experience working with people and a passion to go above and beyond for our customers. Read more here. MAI Programme 2015 - Calling for Interns! The Māori Arts Internship Programme aims to develop future Māori arts managers, professionals and producers, to support the Māori arts infrastructure, and establish pathways for emerging Māori who wish to embark on a career in the arts. There are three paid internships available for people who are keen to build administration and management experience – in the arts area of their choice. We are now inviting applications from suitably qualified and enthusiastic people who are serious about making a career from the arts. Read more here.